Since first releasing its jailbreak tool for iOS 8 / 8.1 only a couple of weeks back, the Pangu team has remained dedicated to the task of improving it, and having pushed a major update last week to bump the version number up to 1.1, today sees the roll-out of Pangu8 1.2.0. Once again, there are a number of fixes and performance tweaks, and if you’re planning on jailbreaking your iPhone, iPad or iPod touch running iOS 8 / 8.1, check the details after the leap! The original Pangu8 jailbreak tool was a bit of a minefield for the unseasoned jailbreaker, with users required to manually add certain features and components such as Cydia and Cydia Substrate. Version 1.1 brought some much-needed respite, adding the newly-updated Cydia as a standard part of the jailbreaking process whilst also including English language support, and having held off during those initial stages, many iDevice users running iOS 8 / 8.1 finally indulged. 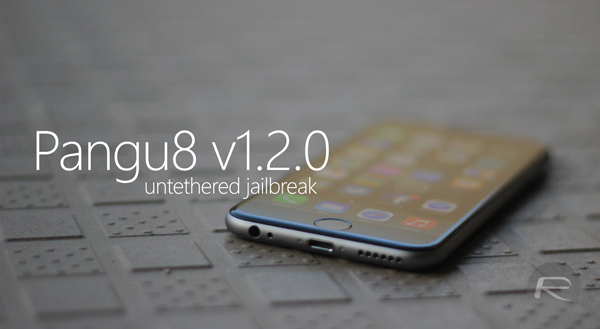 Pangu8 1.2.0 is not short of improvements itself, though, and as well as optimizing the jailbreak process as a whole, brings a couple of welcome fixes to the fold in line with yesterday’s changes to the Pangu untether package. Notably, the issue with CPU drainage on 32-bit devices has apparently been eradicated, while a further glitch pertaining to Safari is also said to have been cleared up. Some users were reporting of issues with the native browser crashing on occasions, with a reloading bug having also been a part of the problem, but thanks to Pangu8 1.2, these niggles should be no longer. Finally, as per the changelog, the Restore function of Pangu8 now supports the all-new iPad Air 2 and iPad mini 3, with both of Apple’s new tablets having trickled out since Pangu’s new tool first released last month. Announced at a special event on Cupertino soil, the iPad Air 2 and iPad mini 3 are both jailbreakable right off the bat, which is something of a rarity, and if you intend to purchase either in the near future, picking up your desired slate sooner will present you with the option of a jailbreak should you so wish. If you are already jailbroken, you don’t need to re-jailbreak. To get all the latest fixes, simply update to latest Pangu untether package 0.4 directly from Cydia. Download Pangu8 1.2.0 for Windows. Does the camera connection kit now mount Fat32 with IOS8.1? DO NOT USE THIS JAILBREAK. It contains CHINESE malware that extracts information from your Apple Pay content. This has been proven already. I would LOVE to read your sources on this. Care to share?? And still no freakin Mac version. WTH? I’m running 8.1 on a 5 and this isn’t working for me. It doesn’t give any errors, but no Cydia appears. when will the mac version come out…. please hurry before they patch this! Proven by who exactly? Either cough up the proof or stop with the FUD. for all my fellow mac users…. either use a friend’s laptop or install a windows VM on your machine. its not that complicated. fortunately for me, i installed win7 with parallels a few months ago because i needed windows-exclusive software for my classes.. so i jailbroke my phone on there without an issue. I’m having serious problems with mounting anything. There are reports that only HFS+ drives are mountable, but i get an error when I try to mount any SD Card. dosent work here, pangu 1.1 woked just fine, had to setup as a new phone 6plus and now pangu say “Ininatilizering please wait” and it never come past that point WHAT to do ?? can anyone confirm that this version fixes the random attacks of 4 or 5 resprings every few minutes on the previous version ? Still having safari crash issues when I try to highlight and copy words. Is anybody able to help me? Look into paragon HFS. It’s a bit expensive, but I was able to find a cracked version that works well after a few restarts.